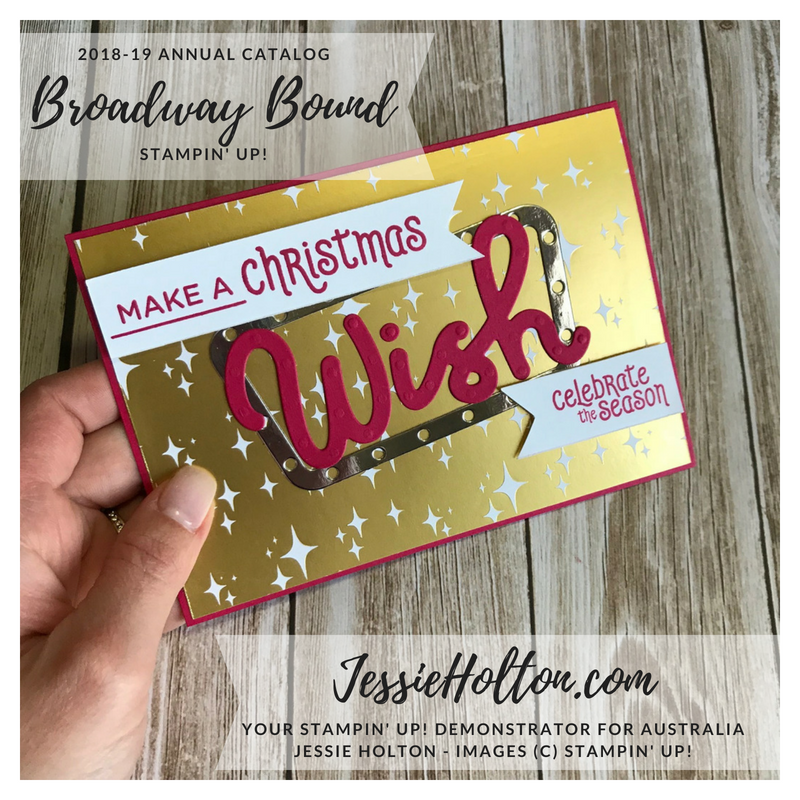 When I first got the Broadway Bound Designer Series Paper (DSP), some of the prints really reminded me of Christmas, so I decided to make a few samples for my stamp camp using the Under the Mistletoe Suite. This first one uses Lovely Lipstick & Silver Foil on the Gold Foil print. I have cased one of the cards from the catalog for the layout. I have taped off the 'merry' from the 'Christmas' Under the Mistletoe stamps & added the 'make a' from the Broadway Birthday stamps. This second card uses the insert from the Silver Foil die cut used in the first card with another 'wish' sentiment die cut in Lovely Lipstick. I have fussy cut the wreath from the Seasonal Wreath embossing folder & covered it in Wink of Stella, although it doesn't show up much in the picture. 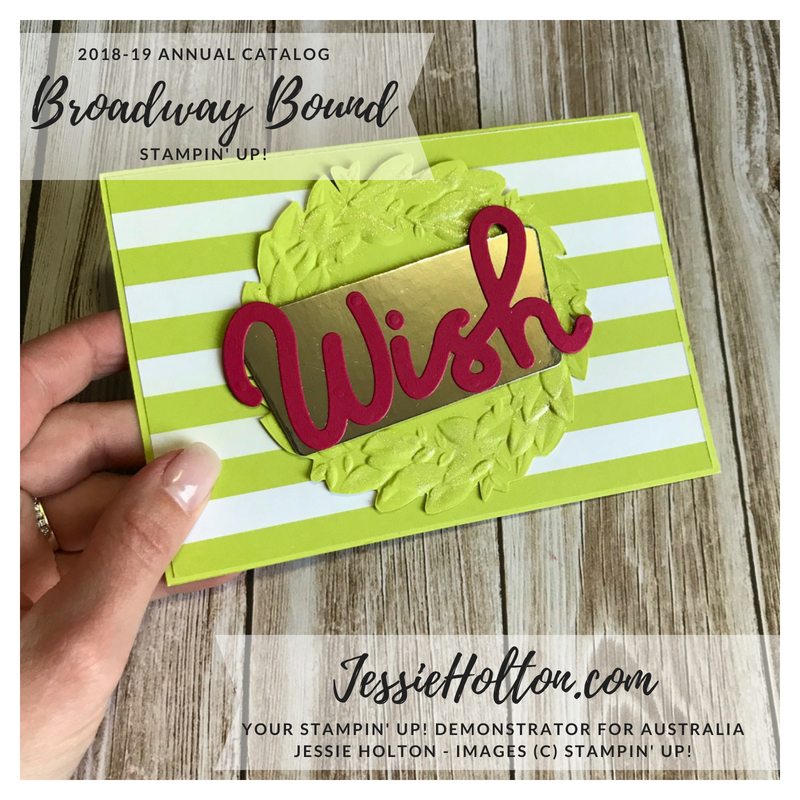 The Lemon Lime Twist stripe print is from the Broadway Bound DSP & it's on a Lemon Lime Twist cardstock base.